Want to make your style intentions perfectly clear? Try these clear AKA transparent heels out! Honestly, I cannot make my mind whether transluscent heels reffer to as stripper shoes or Cinderella’s glass slippers. Either way, this kind of footwear features a high-heel made from a transparent material, especially PVC or perspex. The see-through design feels as light as air and makes it your best runway-inspired find of the season. 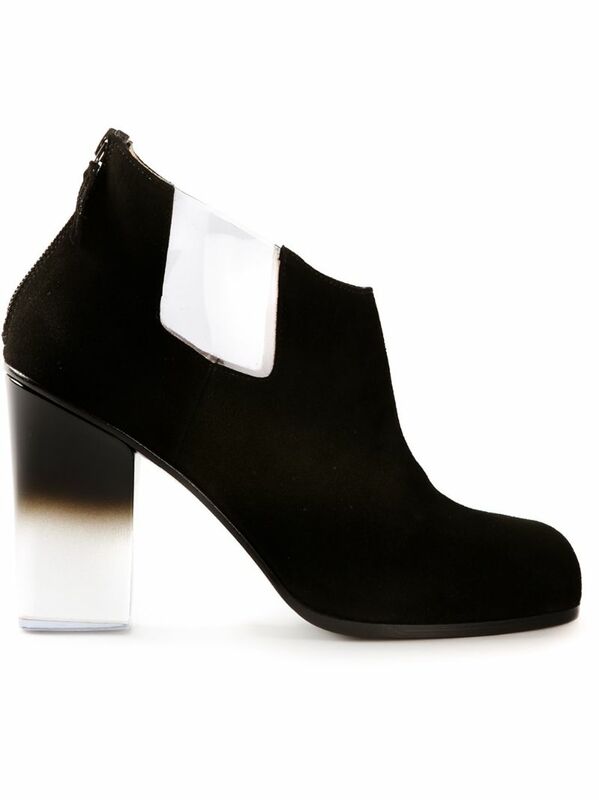 If I had $357.75 to spend on any shoe candy I wish for, I would go for the black leather ankle boots with ombre heels. Ritch Erani samples sophistication with the elegant black and white combo on their suede bootie. The on-trend stunner featurs an almond toe, a back zip fastening, a statement-making transparent mid-heel and clear side panels. Hurry up, the Cinderella shoe is on sale! This one-of-a-kind transparent pump from Ritch Erani costs only $195.00 but it will transform your spring 2015 outfits instantly. This breath-taking design features a round black cap toe, an on-trend ankle strap with a side buckle fastening and a transparent heel. Remember that it runs a full size small. Salvatore Ferragamo offers a quick edit of the runways. 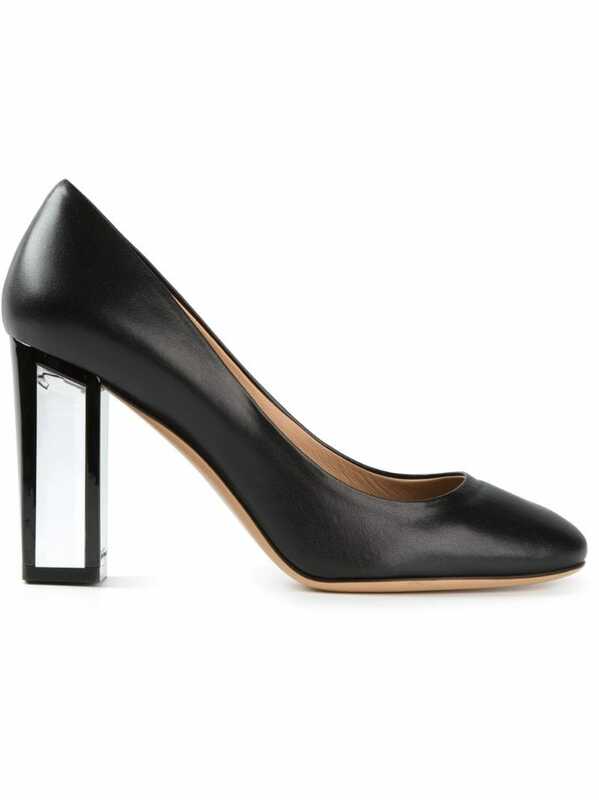 Luxe leather and gorgeous transparent heel combine for a truly modern statement in this stunning offering. The shoe goes sky-high with the subtle sophistication of a round toe a chunky transparent heel. Looking for the accessory to spice up your spring 2015 looks? Here it is! This stunning offering from APERLAI showcases designer’s free-spirited independence and straightforward style. A plentiful sculpted heel in a black tone adds drama to Aperlai sandal. Even though this is a platform shoe the heel is high so you are walking on your toes with your foot arched. 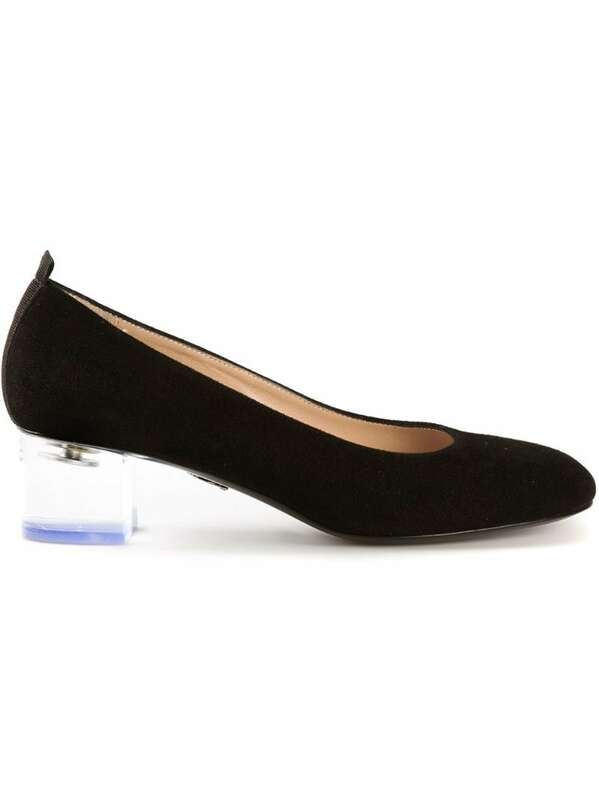 Another clear heel from Ritch Erani NYFC but this one is perfect for running errands. Offering classic with a twist, the cute slip-on style features an almond toe and a brand embossed insole. A transparent blocky heel lends chic modern look to these mid-heel sandals.